This blog piece will address those misconceptions by setting out the models of Parliamentary Sovereignty. These models attempt to explain the way which sovereignty operates, though it may not have escaped the reader’s attention by this blog’s conclusion that each model has positive and negative attributes. This blog offers some opinion on each model of sovereignty to incite further discussion and debate on the topic. It is important to note that Parliamentary Sovereignty is a multi-faceted concept consisting of several concurrent powers which are often in tension with one and other. For example, the constitution of the United Kingdom (UK) is unique, having developed into its current form over the preceding millennia. In addition to this unique development, the UK’s constitution is also not codified into a single document. Both the development of the UK’s constitution, and its uncodified, semi-written status cause difficulty when attempting to appreciate what Parliamentary Sovereignty consists of. Furthermore, it is proposed that Parliament is still changing; it is slowly adapting to meet the needs of society as society itself evolves. 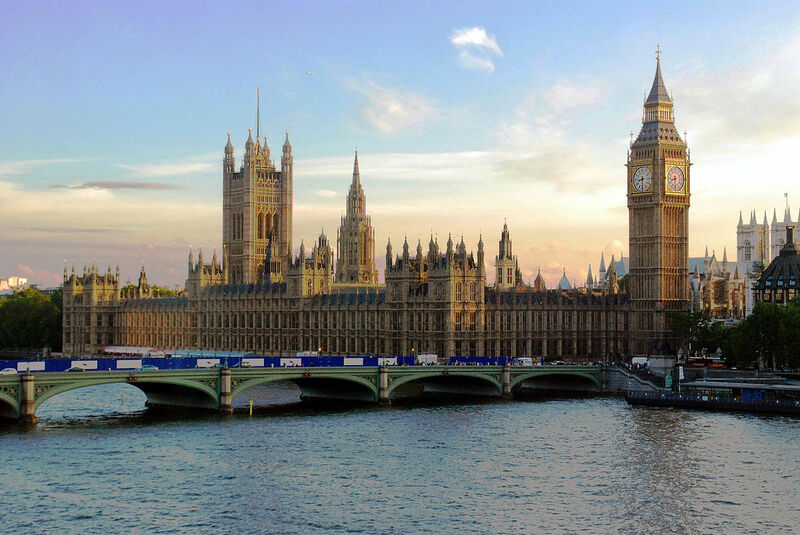 Parliamentary Sovereignty and the UK’s constitution are separate entities that are connected by their common subject matters. In addition to this, discussions on the sovereignty of Parliament often centre on the theoretical models of Parliamentary Sovereignty. However, the will of Parliament and sovereignty in action are both tangible matters. This juxtaposition between legal theory and the practicalities of Parliament’s work is one reason why this area is often difficult to fully grasp. To understand the nature of Parliamentary Sovereignty, it is necessary to understand the theoretical ideas that exists around sovereignty and understand their limitations or criticisms. The orthodox doctrine is the classic understanding of what Parliamentary Sovereignty is. It could be thought of as a dictionary definition of Parliamentary Sovereignty. This doctrine states that the UK (Westminster) Parliament is supreme, and it has unlimited power to legislate on whatever it sees fit. As such, it is asserted by this doctrine that no one can set aside an Act of Parliament. A problem with a dictionary definition of any sorts is that it is often vague; the orthodox doctrine is no different. This view of sovereignty presents a paradox; if Parliament has unlimited power to legislate, then it can create an Act of Parliament which limits Parliament’s own power. However, in limiting its power it is no longer supreme therefore it cannot limit its power as Parliament is always supreme. Ergo, Parliament is not supreme because it cannot limit its own power; in doing so it will no longer be supreme. The same argument can be made for Parliament enacting legislation which permanently disbands itself; in doing so Parliament would no longer be supreme and so the orthodox logic fails. Following this same logic, it could be questioned whether, using the orthodox doctrine, Parliament could enact a law which cannot be repealed or is very difficult to repeal (requiring more than a simple majority which is currently the case). These types of laws are referred to as being absolutely and contingently entrenched respectively. This idea of a law becoming absolutely entrenched (cannot be repealed or amended) or conditionally entrenched (conditions on its repeal or amendment) will assist with understanding the models of sovereignty which try to expand on the orthodox doctrine seen above. In stipulating “the most recent expression of Parliament’s will”, this model supports the idea of express and implied repeal. Express repeal is where a more recent Act of Parliament states that an earlier Act is repealed. This shows that Parliament cannot (according to this model) bind itself as it can repeal any Act it has created. Implied repeal is where a more recent Act of Parliament contradicts an earlier Act, but it does not expressly repeal the earlier Act. Again, this shows that Parliament’s repealing powers are not limited to express repeals but also where a court can establish that the will of Parliament has changed by a later Act. See Ellen Street Estates Ltd v Minister of Health  1 KB 590 R v Secretary of State for Transport, ex parte Factortame (No 2)  1 AC 603. There are some issues which arise when looking at this model. Firstly, it does not deal particularly well with the ideas of absolute and contingent entrenchment, vis-à-vis laws that have generally been thought of as carrying some special status making them somewhat beyond reproach (that is, Acts of a constitutional character, such as the Bill of Rights , Human Rights Act 1998, European Communities Act 1972 and the Parliament Acts 1911-1949). However, repealing these Acts would have serious consequences on the way that the UK operates. For example, s.3(1) of the Human Rights Act 1998 says “So far as it is possible to do so, primary legislation and subordinate legislation must be read and given effect in a way which is compatible with the Convention rights”. Therefore, subject to some caveats, this section requires the courts to read all previous and future legislation compatibly with an individual’s Convention rights. This provision is somewhat contrary to the ideas of express and implied repeal in that any future will of Parliament must be read in conjunction with (and be compatible with) the provisions in the Human Rights Act 1998. It could be argued that this is a limitation of future Parliament’s abilities to create law. It could also be argued to the contrary that the continuing existence of s.3(1) of the Human Rights Act 1998 simply shows that the will of Parliament has not changed, and that each successive Parliament agrees to maintain the original status and intention of the Human Rights Act 1998 because each successive Parliament chooses not to alter the Act. In a sense this amounts to a skewed form of continuing Parliamentary acquiescence as to the content of the statute book up to the present day. There are enormous political consequences that could ensue if constitutional Acts such as those mentioned were changed; however, the political aspects to sovereignty warrants a discussion piece of its own. Another discussion on the limitations of this theory can be found in relation to the Parliament Acts 1911-1949 when the court heard the case of R(Jackson) v Attorney – General  UKHL 56. This case concerns the House of Commons’ ability to pass a Bill to the Crown for Royal Assent without the consent of the House of Lords. In terms of sovereignty, this was an important case as it questioned whether Parliament had the authority to change the way law was created. In the absence of a codified constitution setting out how law is made in the UK, Parliament (being supreme) can change the manner in which law is made and can alter the balance of power between the House of Lords and the House of Commons. When discussing the Queen in Parliament, it is often easy to gloss over the fact that Parliament is bi-cameral. Whether the Houses are free to decide how power is shared between them is arguably not so much a legal as a political or conventional question. The House of Commons has a democratic mandate being the elected house and so any change in the balance of power between the two Houses can only be in favour of the Commons. It is politically inconceivable that more powers would be handed to the House of Lords following a century of curtailment of its powers. Therefore, is Parliament supreme or is the House of Commons supreme? All laws are of equal authority and standing no one Act is above any other. There is a substantial move in both parlance and in logic under Model 2 towards attempting to make sense of the practical work of Parliament and the theory of sovereignty. It poses, inter alia, the idea that Parliament may, if it sees fit, impose conditions on the amendment or repeal requirements of an Act. It could be argued that there are two fundamental flaws in this logic. Firstly, if Parliament is supreme and it enacts a law which puts conditions on the way future Parliaments may repeal the Act, then future Parliaments would no longer be supreme, they would be subject to the conditions set by earlier Parliaments. Secondly, if an Act has special conditions contained within it for its repeal or amendment then it is no longer on an even footing with all other Acts. By setting conditions which future Parliaments must abide by, a law has been elevated to a higher status and so there is an inherent contradiction in this model. Moreover, in the case of Thoburn v Sunderland City Council  EWHC 195, Laws LJ stated, “Parliament cannot bind successors by stipulating against repeal […] cannot stipulate against implied repeal” and “[b]eing sovereign, it cannot abandon its sovereignty”. Laws LJ’s comments were supported in the Court of Appeal in the case of McWhirter v Secretary of State for Foreign and Commonwealth Affairs  EWCA Civ 384. Though this model is a move towards a more pragmatic approach to Parliamentary Sovereignty, it leaves much to be desired in its logic given that all laws are not treated in the same way. Acts such as the Human Rights Act 1998, the Bill of Rights  or the Magna Carta 1297 do in fact occupy a special position in the UK’s statute book because they deal with matters so fundamental to the way that the UK’s society operates that to change them would change the very makeup of the state. Practically, this elevates Acts such as these to some form of constitutional level of importance. It is difficult to overstate the impact of laws such as these. Another example is the European Communities Act 1972 (ECA), which fundamentally changed the relationship between the UK and what is now the European Union, and is the subject of impending repeal given the UK’s decision to leave the EU. According to this model the ECA has the same legal standing as all other laws and yet in practical terms it created the legal framework in the UK for the state’s membership of the EU. In R(Miller) v Secretary of State for Exiting the European Union  UKSC 5, the Supreme Court suggested that EU law would have “no domestic status” but for s.2(1) of the ECA, meaning that all EU law directly effective in the UK comes via one section of one Act. This view is shared in the earlier Supreme Court judgement in Pham v Secretary of State for the Home Department  1 WLR 1591, (see para 80). If this model is followed, the ECA, and all abovementioned Acts occupy no special status and so can be repealed in the same manner as any other law. If s.2(1) is therefore repealed, it would have the legal effect of disapplying all directly effective EU law to the UK; the consequences of such would be far reaching and complicated. It is surely difficult to adopt a hard-line theoretical approach, stating that all laws are equal irrespective of content, when the social, legal and political effects of an Act are so far reaching that they effect all parts of society, law and politics to some degree. There are no express requirements that need to be met for the ECA to be repealed and Model 2 is silent on the existence of implied conditions emanating from unwritten constitutional rules or conventions. If the ECA were to be repealed in the same manner as any other law the UK would not immediately break all ties with the EU. The UK has obligations which it has entered into during its membership and these political negotiations would still need to take place to separate the UK from the EU. Therefore, asserting that all laws are equal is disingenuous, as it does not address those laws which deal with fundamental matters so important that they could be considered constitutional. This idea of certain Acts of Parliament having constitutional status is shared by The Honourable Mr Justice Beatson who stated that the Government of Wales Act 2006 and the HRA both had a “constitutional status” in the case of R. (on the application of Brynmawr Foundation School Governors) v Welsh Ministers  EWHC 519 (Admin). With difficulties reconciling the differences between the practicalities of Parliamentary behaviour and theoretical principles and the divide between the logic in Model 2 and the approach taken by the judiciary, Model 2 falls short of offering an adequate theory of the sovereignty of Parliament at this stage. This model moves away from the theoretical aspects found in the orthodox doctrine and attempts to utilise the UK’s unwritten constitution to resolve the debate over Parliamentary Sovereignty. There are some issues with this model also, the first being that the UK’s constitution is unwritten and so stating that rules exist within the constitution which govern Parliament’s operation is difficult to discuss at length except in the abstract. However, it is commonly acknowledged that rules exist in the constitution which are so fundamental that they influence Parliament. It is however a step further to argue that the rules bind Parliament; if this is the case, then Parliament is no longer sovereign, it is subject to the unwritten constitution that has evolved in the UK over centuries and so the Parliaments of previous years which have established these rules have curtailed the powers of the modern-day Parliament. Secondly, Lord Denning stated that “[l]egal theory must give way to practical politics” (see above). This poses an issue in that it assumes that there is a definite line between politics and the law. Contrary to this, the Houses of Parliament are where politics enters, and law emerges and so attempting to establish any definite line beyond that is very difficult. Debates in chambers and Houses of Parliament revolve around party politics and personal agendas though the instruments being debated are Acts of Parliament and so politics and the law are intrinsically linked. Thirdly, the statement that Parliament is supreme and yet is controlled by a subordinate set of rules does not fully equate as a logical statement. If Parliament is supreme then only the present Parliament assembled can govern itself, and if there are a subordinate set of rules governing the way that Parliament operates then by virtue of the rules being subordinate, they can therefore be changed. Finally, in respect of the courts upholding the limits on Parliament, if Parliament is supreme, the courts have no authority to limit its power or enforce rules on it. In practical terms, would the courts ever see it as their role to intervene in the authority of the democratically elected law-making body? It has been argued in popular media that the courts have already taken on the role of controlling Parliament to some degree as seen in the case of R(Miller) v Secretary of State for Exiting the European Union  UKSC 5. However, the Supreme Court was concerned with the remit of the government as an executive agency and the use of a prerogative power to begin a chain reaction that would lead to a loss of individual rights; not the authority of Parliament to legislate on what it sees fit. It does leave the distinct impression however that the role of the courts is also changing and that no current model of sovereignty adequately explains the adaptability of Parliament or the courts. Model 3 has clearly developed to try and provide a pragmatic solution to the UK’s unique constitutional situation; it does offer some interesting points to consider though there are shortfalls in its ability to adequately describe the constitutional role of the courts and to map the relationship between Parliament and constitutional rules and conventions. The approach taken by this model is arguably inconsistent with the term sovereignty viz. if Parliament is controlled by the constitution and by the courts it cannot be sovereign in the truest of senses. This model could therefore be better described as constitutional sovereignty with a subordinate or subjugated Parliament. In order for this model to proceed along that line the UK would need to absolve itself of its infatuation with the sovereignty of Parliament and that is unlikely in the near future. There is much scope for further discussion around the sovereignty of Parliament, and potentially for another model of sovereignty to be proposed which attempts to satisfy the failures in each of the models seen above. Whether it will ever be completely possible to map out the idea of Parliamentary Sovereignty in the UK is debateable, as the many oddities that have arisen in the UK’s system over the preceding thousand years have created a working relationship which is as complex as it is vague. However, it is vitally important that this discussion continues as the lack of a written constitution and a notion of Parliament that is continually evolving leaves many questions to consider. The approach to constitutional and sovereignty matters in the UK is contrary to that taken in many other states; following the UK’s long period of relative stability (save for the Glorious Revolution), the UK has developed a complex and peculiar set of constitutional arrangements. The trend over the past century, has been to develop theories and then try to superimpose these theories onto model that is already functioning. There is scope for the development of a mode which recognises that sovereignty as a concept is malleable. It does not necessarily exist solely in the physical Houses of Parliament and nor does exist solely in the format it did in Dicey’s day. Sovereignty as a concept has changed and continues to change to reflect the needs of modern society and the UK as an active state in a global environment. Established theories do not facilitate this, these theories look back in time to try to explain the current way that Parliamentary Sovereignty operates and yet Parliament has moved on. The relationships that the UK has with intergovernmental and supranational organisations now goes far beyond membership of the EU; the UK as a state is woven into the global legal framework. The UK’s active participation in the United Nations, NATO, World Trade Organisation and the International Monetary Fund (to name a few) places obligations on the state which in turn impact on the orthodox notion of absolute sovereignty. Absolute and theoretical sovereignty must now give way to a pragmatic realist view of sovereignty which includes recognition of the restriction of Parliamentary Sovereignty that have come about following decades of active participation in the global community. This could be seen as the development of the ideas that Lord Denning spoke of in his judgment in Blackburn (above), however more than just rationalising previous ideas, there is need for a pragmatic and modern approach to mapping the powers of the state, their origin and ultimately their limitations. Sovereignty is no longer absolute, if ever it was, it is conditional and subject to political relationships which carry obligations and repercussions. This notion will be abhorrent to proponents of the orthodox doctrine; however, the political landscape of the early 21st century is a far cry from that of the mid to late 19th century. Notwithstanding this proposal, the UK’s decision to leave the European Union poses additional challenges for legal theorists and public law lawyers. Arguments around the absolute sovereignty of Parliament in the orthodox sense throughout the campaigns, did little to appraise the general public of the complex relationship that the state has with the EU and other bodies such as those abovementioned. Demagogue arguments which have a nostalgic view of sovereignty are so far from the current political and legal landscape, it is absurd to suggest that the UK can return to completely independent arrangement; if it indeed ever had it in the first place. The post-Brexit landscape may seem illusive at this stage, and in terms of the sovereignty of Parliament, there is little sign of any immediate epiphany or even clarity as to political relationships following the separation. Questions such as: what relationship will the UK have with the EU; to what extent will foreign judgments be acknowledged or considered; what of UK companies that operate in the EU; where does sovereignty stand as the devolved nations build their own legislative and political portfolio and engage in international relationships post-brexit? These questions will fuel the continuing debate over the UK’s future relationship with the EU, with other intergovernmental or supranational organisations, and how the devolved nations see their relationship developing with the EU after the UK leaves. Exiting the European Union may mask the need to address the disparity between theoretical sovereignty and the practical work of Parliament, though only for a short period before another scapegoat appears in popular media and politics. Will devolution be seen as the next assault on Parliamentary Sovereignty? To close, a quote often attributed to Seneca is recalled which exclaims “[w]e let go the present, which we have in our power, and look forward to that which depends upon chance, and so relinquish a certainty for an uncertainty”. For an appraisal of the development of the UK’s constitutional see JWF Allison, ‘History to understand, and history to reform, English public law’ (2013) 72(3) Cambridge Law Journal 526. For an international comparison see RC Van Caenegem, ‘Constitutional history: chance or grand design?’ (2009) 5(3) European Constitutional Law Review 447. See AV Dicey, An Introduction to the Study of the Law of the Constitution (London 1959). For further information on the models discussed below see M Elliott and R Thomas, Public Law (3rd edn, OUP 2017). European Union (Withdrawal) Bill 2017-19. This can be accessed via http://researchbriefings.parliament.uk/ResearchBriefing/Summary/CBP-7793. In addition to this, the progress of this Bill through Parliament can be seen here https://services.parliament.uk/bills/2017-19/europeanunionwithdrawal.html. For more information on this point see A Sanchez-Graells, Brexit, the limits of law and legal scholarship, How to Crack a Nut: A Blog on EU Economic Law, October 6, 2016, http://www.howtocrackanut.com/blog/2016/10/6/brexit-the-limits-of-law-and-legal-scholarship. See R Masterman and S Wheatle, ‘Unpacking separation of powers: judicial independence, sovereignty and conceptual flexibility in the UK constitution’ (2017) 3 Public Law 469. MM Ballou, Treasury of Thought: Forming an Encyclopedia of Quotations from Ancient and Modern Authors (Houghton Mifflin 1884) 521.